AHANY Scholarship Applications are due by May 10th. The application form was in the April Newsletter and is available on the AHANY website (www.ahany.net). 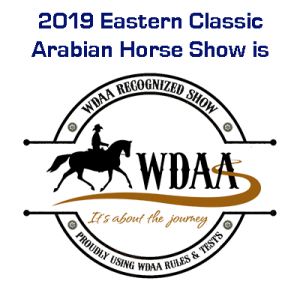 The Eastern Classic Horse Show is June 9, 10, & 11th. Please consider a Sponsorship because they are critical to the future of our show. The form is included for your convenience and is on the website. Also included is the Vendor Agreement. If you know of anyone who would like to participate as a vendor, please share this form with them. Entries for the Eastern Classic close on May 26, 2017. The prize list and entry forms can be found on our website, http://www.ahany.net/eastern-classic/ as well as on the Region 16 Website, http://region16.org/2017PrizeLists/2017EasternClassicPrizeList.pdf. We hope to see you there! The Open Show planned for April 30th was cancelled due to rain and has been rescheduled for Sunday, June 4th at Stagecoach West. Prize list and entry form are in the April Newsletter and on the website. Thank you to Aaron Harvey for keeping the web page up to date with information about events, all of the current forms and the newsletters as well.